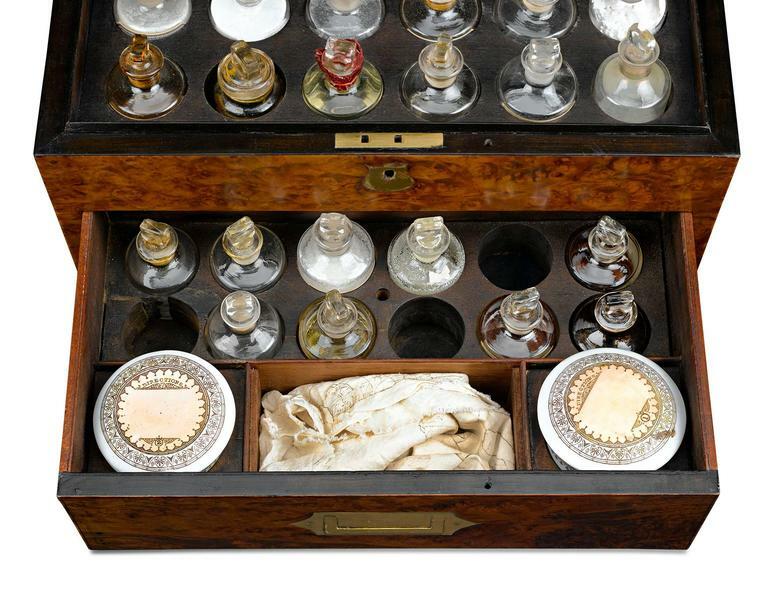 An invaluable addition to the 19th century home, this domestic medicine chest contained nearly everything needed to nurse a member of the household back to health. 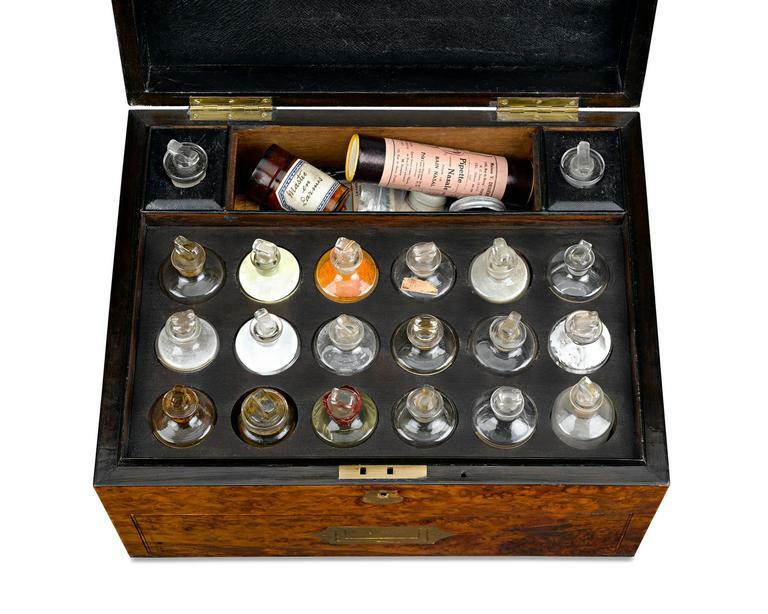 Made by the firm of Thomas Thompson and S. J. Capper, homeopathic chemists of Liverpool and Birkenhead, this chest would have been the first, and in some instances the only, way to immediately administer medical care to the sick or injured. 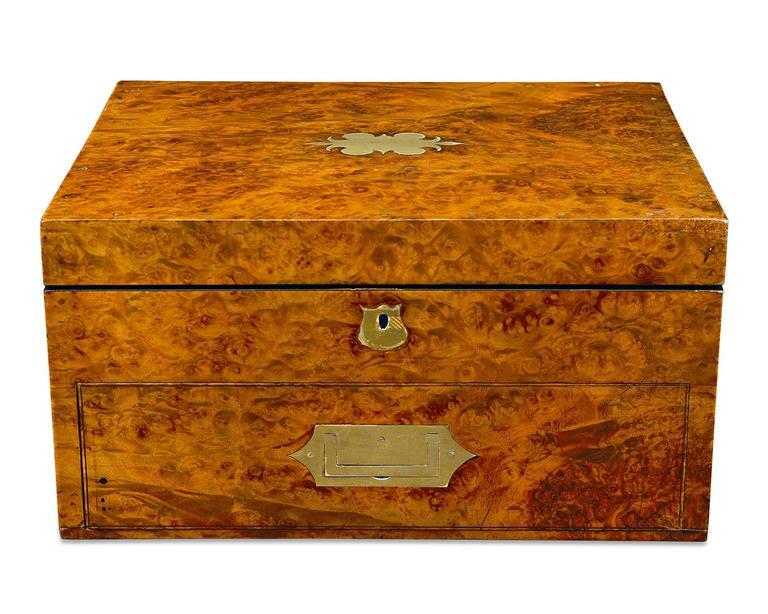 The case would have been crafted by a skilled cabinetmaker, with this elegant specimen, in particular, being enveloped in handsome burl walnut with flush brass hardware. 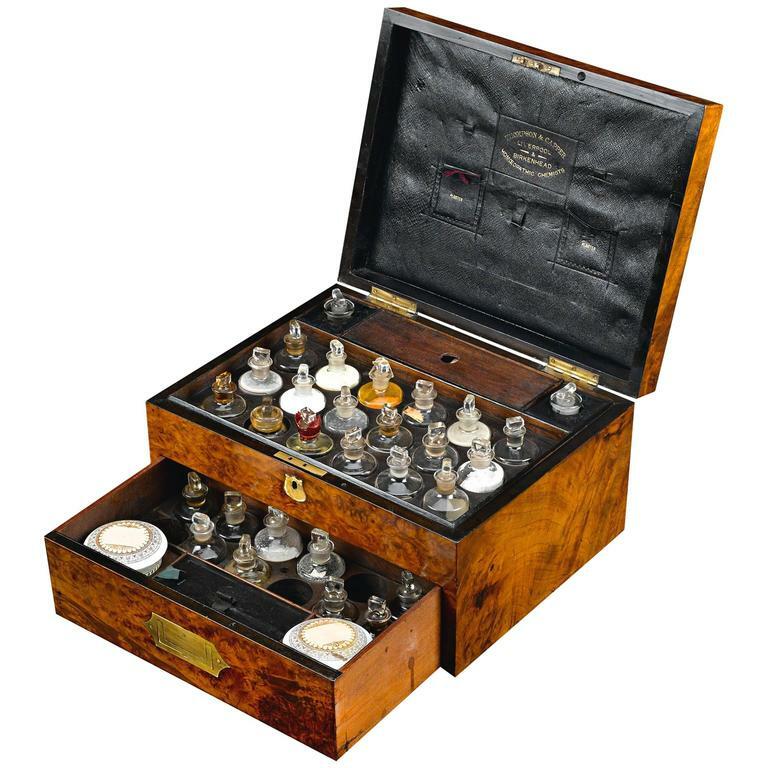 Thompson & Capper would have purchased the chest and fitted it out fully to a specific customer's specifications, which is why the interiors of these fascinating medical antiques are rarely ever identical. 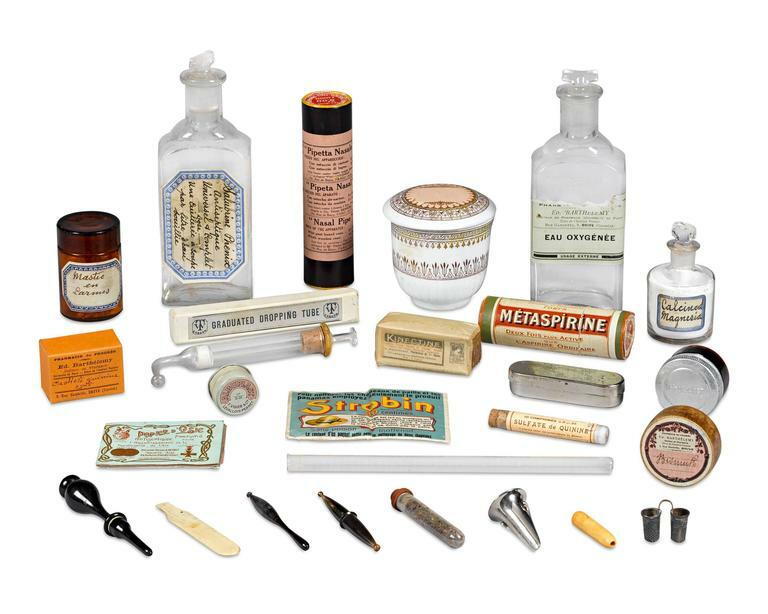 The interior contains a multitude of medications, glass bottles with original contents, jars and various instruments used to administer medicines and give first aid treatment. Medications include various antiseptics, mastic (used for cuts, stomach problems, and oral care), quinine (for the treatment of malaria), bismuth and calcined magnesia (both for digestive disorders), aspirin and hydrogen peroxide, or eau oxygénée. 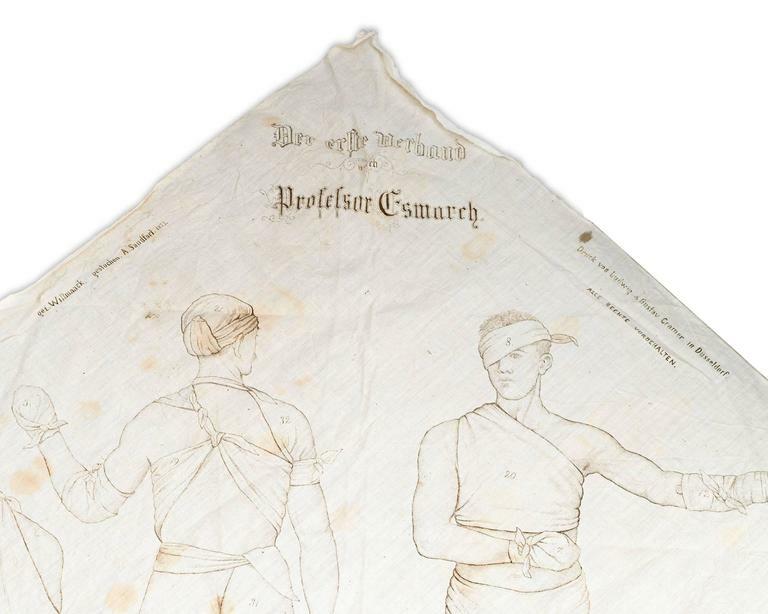 An array of instruments, including a nasal pipe, dropper tube, vial, tongue depressor and even a bandage with illustrations on proper usage are held within this remarkable medical compendium. 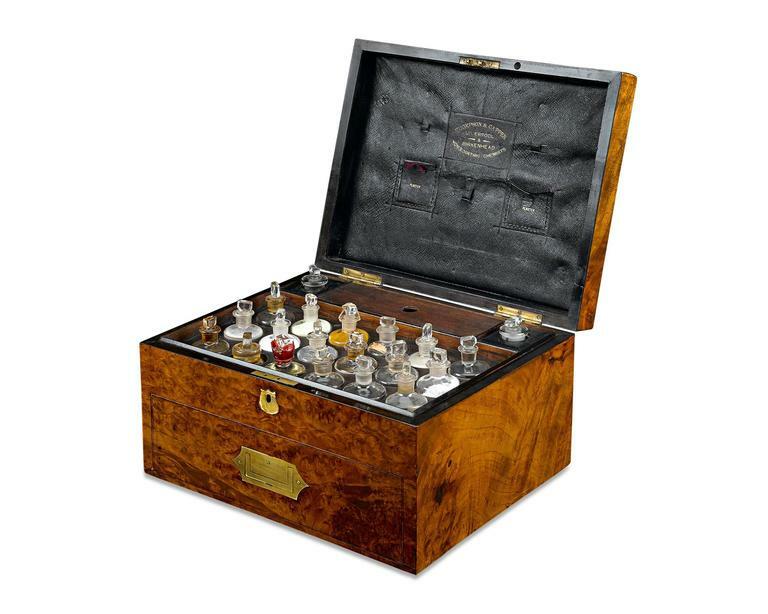 Though the need to keep medical supplies at the ready dates to ancient Egypt, the first medicine chests did not appear until the late 1700s, with their popularity and level of sophistication reaching a zenith in the mid-1800s. 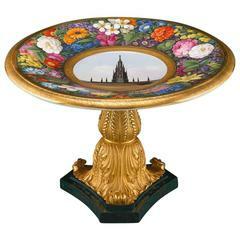 To find a chest in this exquisite, original condition by a respected maker is quite extraordinary. 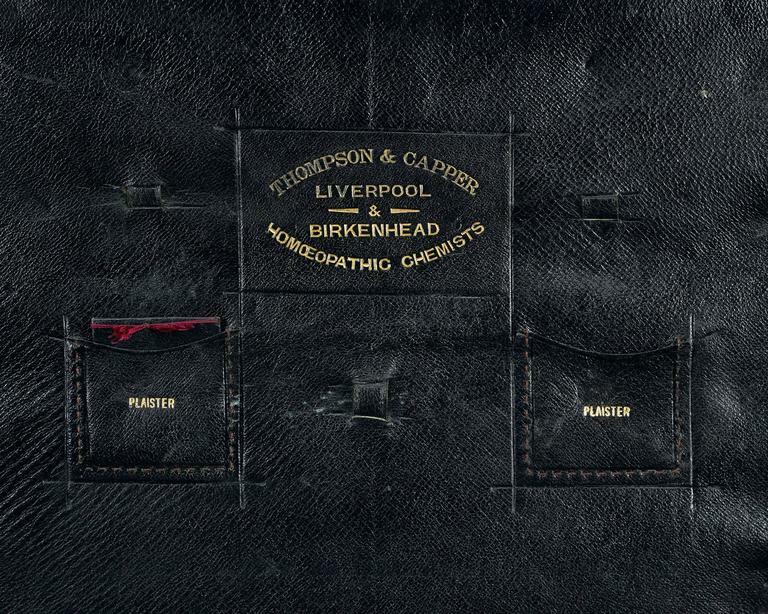 Interior lid marked "THOMPSON & CAPPER / LIVERPOOL / BIRKENHEAD / HOMŒOPATHIC CHEMISTS circa 1860 Measures: 15 3/4" wide x 12 1/4" deep x 8 1/4" high. Portable Copying Machine by James Watt & Co.
Made of pine with thirty drawers on shaped bracket feet retaining old painted finish. 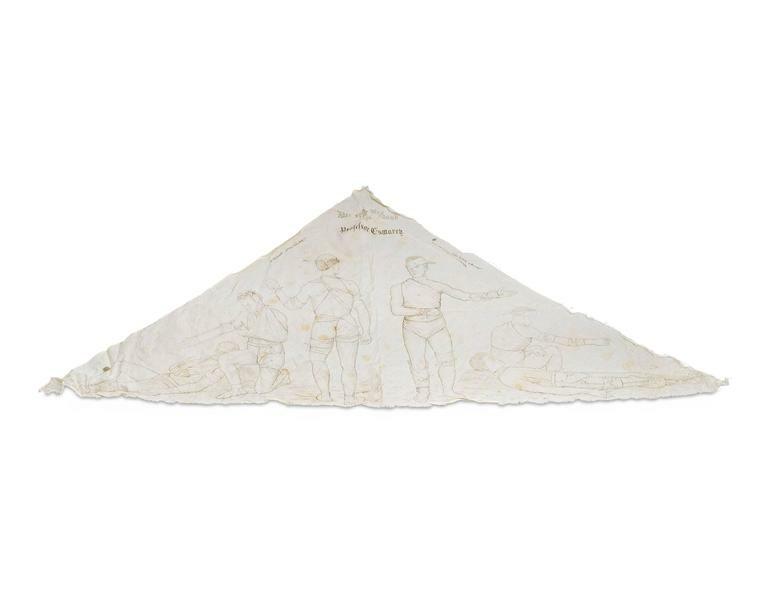 Made in England, circa 1860. 19th century mahogany Campaign map chest. This was built in two parts with square and fitted brass pulls with eight folio drawers.